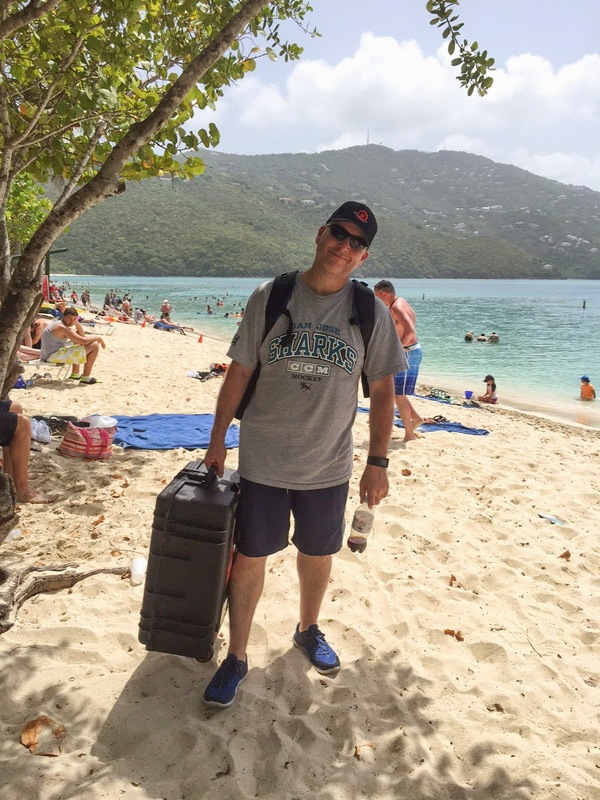 Jeff Cable's Blog: Taking a Phantom 3 Aerial Camera on Vacation! I know, I know, I look like a total dork walking around with a Phantom 3 in a big old travel case when I am on vacation, but I just can't help myself. The video and stills that I can take with this aerial camera (drone) are just so cool that it is addicting! My wife could not resist taking this photo of me at Magens Beach in St. Thomas the other day. My daughter was granted a wish by Make a Wish and she wanted to go to the Virgin Islands. We brought along her best friend so that she could have more fun than just being with mom and dad. Any of you who have an 18 year old knows how that goes! Of course, I brought along my Canon 5D Mark III to document her trip. This photo was taken on Day 1. My wife and I saw this cool wall and thought that it would be a cool background for the girls. On Day 2, we hired a driver to take us around the island. At one of the scenic overlook stops, the girls took one of their (very many) selfies. I held my camera up and grabbed this shot over their phone. At the end of Day 2, were ended up stopping at a restaurant called "The Green House" for some late night snacks and drinks. Here are Ali and Paige drinking a virgin Margherita (although the drinking age is 18 here and they could have had the real thing.) Shhhhh! My daughter took this photo of me playing around. At the end of Day 3, I brought the Canon camera and Gitzo tripod (with Acratech ball head) down to the beach in front of our hotel. I set it all up (zoomed the 24-105mm lens, pre-focused on Ali, set the right exposure, adjusted the flash power of the Canon 600 EX-RT, and set the timer mode to 10 seconds) and took a photo of the 4 of us. After shooting the previous group shot, I decided that it would be cool to take a long exposure photo of the girls in the water. So I set up the camera for a 2 second exposure, told the girls to stay as still as possible, and then fired off this shot. I love the motion in the water, surrounding the girls who are tack sharp. OK, so I brought the Canon 5D Mark III on the trip to capture all these types of photos, but I also wanted to capture some unique shots of her on this special get away. Hence the reason for bringing the Phantom 3! To show you exactly what I captured, here is a video that I took the other day while the girls were having fun on the beach in St. Thomas. Make sure to watch this in 1080p to see the full quality of the video. It is simple to travel with the Phantom. I have a travel case for it, and check it along with my other luggage. It is a little more to lug along with me, but as you can tell, this aerial camera brings a totally new dimension to photography! Would you bring a Phantom with you on vacation like this? Hey Jeff, Great backdrop for your first photo of the girls. You must be using your toy(albeit an expensive toy) a lot because you've gotten much better with it. I really don't think I would enjoy using one as much as you do. Of course that could just be sour grapes. Looks like your daughter enjoyed herself as I'm sure you both did. Awesome shots! I would certainly take a P3 on a vacation like this. 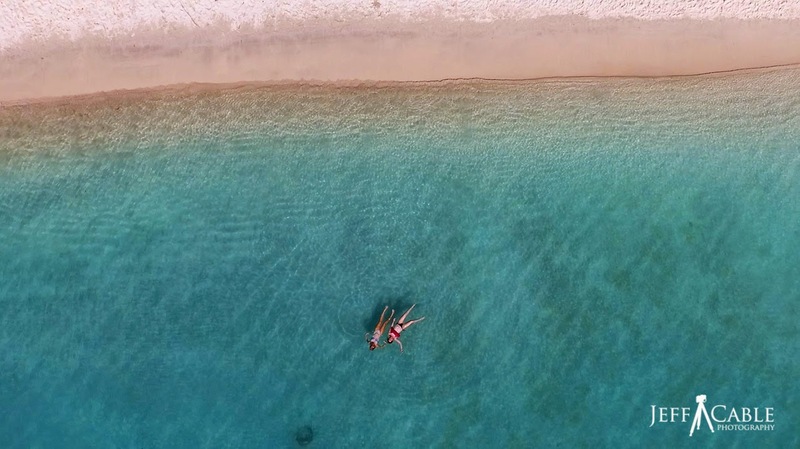 After all, if I have the opportunity to get some amazing beach aerials, why not? Haha.